Historically, the bascinet was designed to help do away with cumbersome and unwieldy Great helmets. 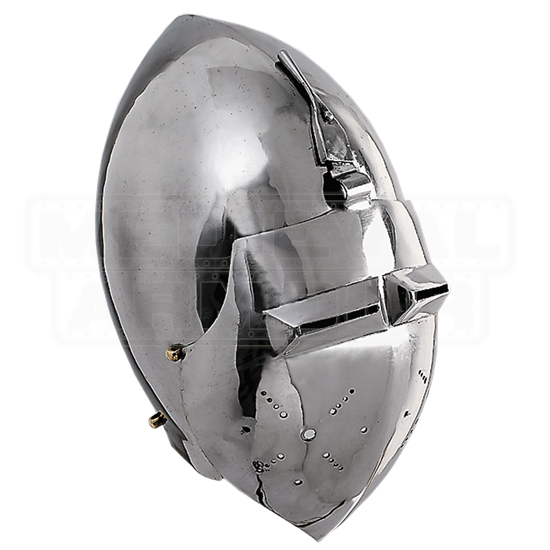 This French Bascinet Sports Helm with Face Plate, based on a French design, is made to maneuverable and effective, as well as highly protective. In that regard, this helmet lives up to the reputation of the early bascinet, being much more open and easier to use than the great helmet. The open faced design ensures good circulation, while the higher, peaked skull cap helps to guide blows down the side of the helm and away from the face and crown, providing a greater level of protection than its Great Helm predecessor. This helmet offers a full face plate front, which features narrow eyelets for vision and small holes in the mask to help with ventilation. This form of the helmet impedes vision a bit, but offers superior protection to the head, similar to what a jousting knight would have needed in their helmet. 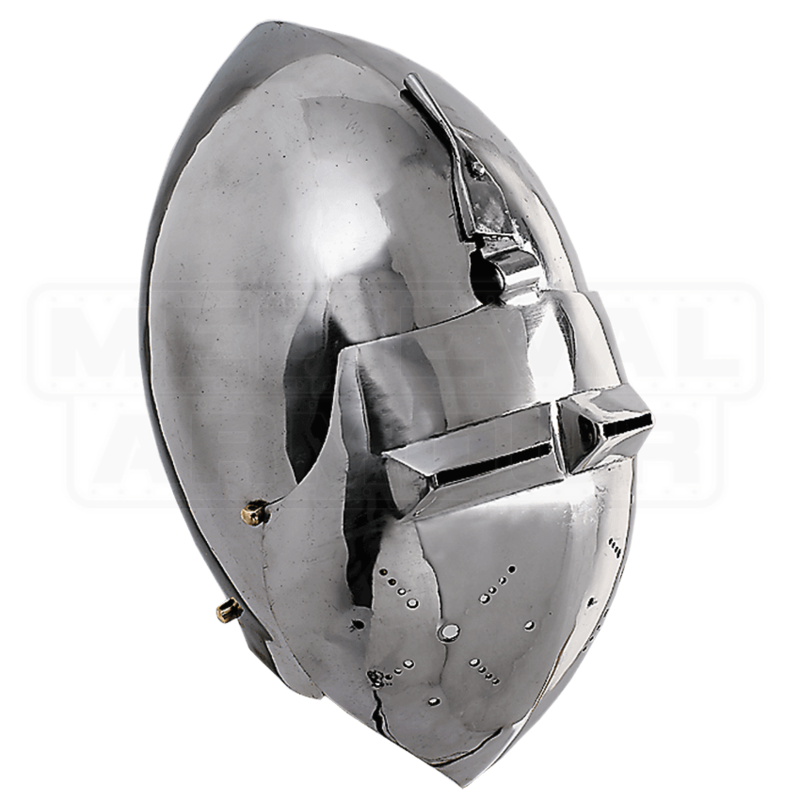 The helmet is made entirely in heavy 14 gauge steel, which makes it thick enough to take a beating in reenactment, SCA, LARP, or any other field event. For the warrior who wants solid protection when they take to the field, either in practice or in a tourney, there are not many helms that can compare to the protective potential and the knightly appeal of this French Bascinet Sports Helm with Face Plate.